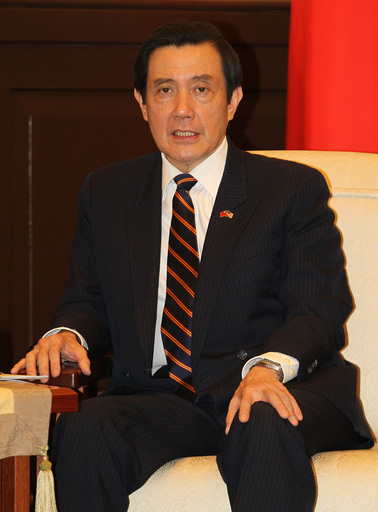 Taipei, Dec. 6 (CNA) President Ma Ying-jeou said Thursday that he will ask China not to establish an air defense identification zone (ADIZ) over the South China Sea, and described Beijing's recent demarcation of an East China Sea ADIZ as unhelpful to the positive development of relations between Taiwan and China. In an interview with The Mainichi Shimbun of Japan, Ma expounded on issues such as China's designation of the ADIZ in the East China Sea, Beijing's plan to demarcate another ADIZ over the South China Sea, Taiwan-Japan relations and Taiwan-U.S. ties. He said China's recent move has sparked concern among many countries, particularly its neighbors, including the Republic of China (Taiwan), because the new ADIZ has an overlap of some 23,000 square kilometers with Taiwan's and covers the disputed Diaoyutai Islands, which Taiwan claims. Taiwan's Air Force patrols and training operations in the 23,000 square km overlapping area, however, will not be affected by China's move, Ma said. After China's announcement Nov. 23 on the establishment of the new ADIZ, the ROC government issued a statement later in the day, renewing its claims of sovereignty over the Diaoyutai Islands and its fishing rights in the area, the president said. The ROC government has conveyed its firm stance to Beijing on the newly declared ADIZ, he said. The government will also inform China of Taiwan's disapproval of its airspace plan for the South China Sea, Ma added. According to local media reports, Taiwan has been communicating with China via an encrypted dialogue channel on Beijing's plan for another ADIZ, this time in the South China Sea. China's recent move "has not been helpful to cross-strait relations," Ma said, calling for China to resolve the issue through bilateral consultation. For the sake of aviation safety, however, Taiwan has submitted flight plans for all civilian aircraft flying through the new ADIZ to China over the past few days, he said. On the question of whether Taiwan will continue the practice, Ma said that if airlines operating in the region want to give their flight plans to China and want Taiwan's Civil Aeronautics Administration (CAA) to submit the plans on their behalf, "we will provide that service." There are 14 international routes in the Taipei flight information region (FIR) that fall under the CAA's jurisdiction, he explained. In addition, there is an overlap of Japan's ADIZ and Taipei's FIR that covers an area of about 60 nautical miles, he said. Since 2009, Taiwan has been complying with Japan's instructions to submit flight plans for all civilian craft flying through the overlapping zone, the president said. Ma said that since he took office in 2008, he has been trying to improve relations with China, the United States and Japan. Over the past five years, Taiwan and China have signed 19 agreements, he noted. The president also said that Taiwan has not sidestepped cross-strait political issues, as evidenced by the fact that the two sides have been negotiating an agreement on setting up reciprocal liaison offices, which is a politically sensitive issue.